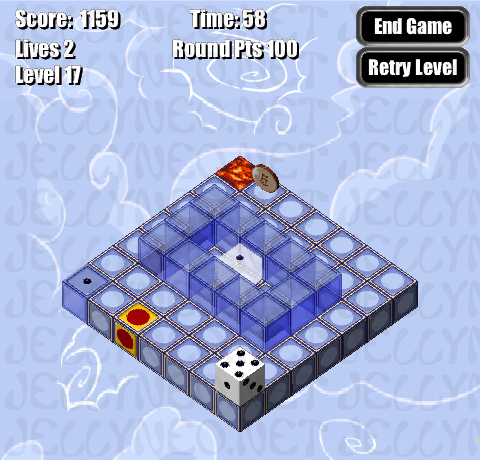 Dice Escape is a simple puzzle game involving nothing but arrow keys and good spatial awareness. 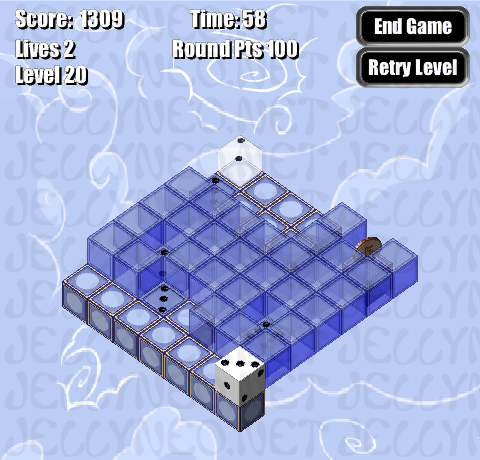 It is a Shockwave game, and therefore does not work in all browsers, but can be a fun way to pass time nonetheless. 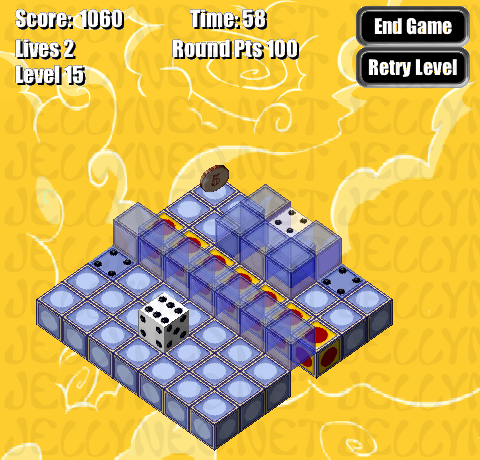 The goal of Dice Escape is fairly straightforward - to move your die across the board to reach the exit tile (the translucent die). 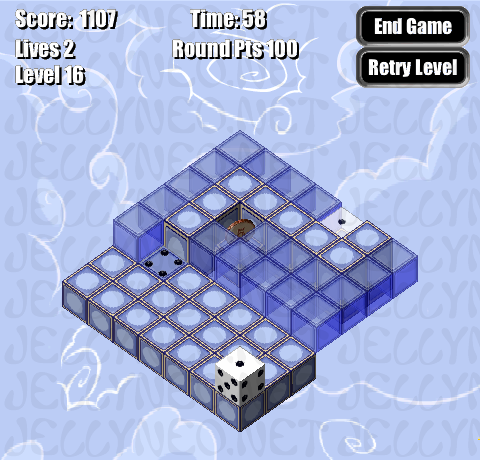 In order to successfully exit the level, the face of your die must match that of the exit tile. 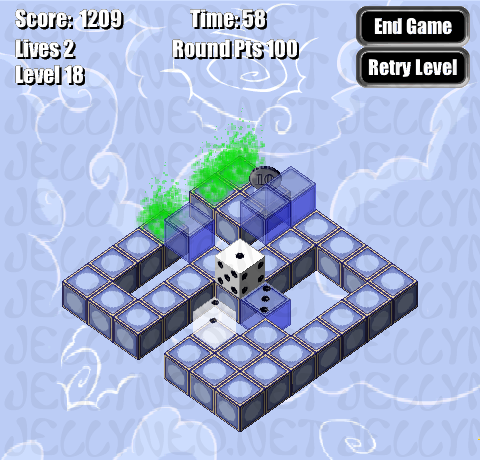 To move your die, press the appropriate arrow keys, as written out in our level guides below. 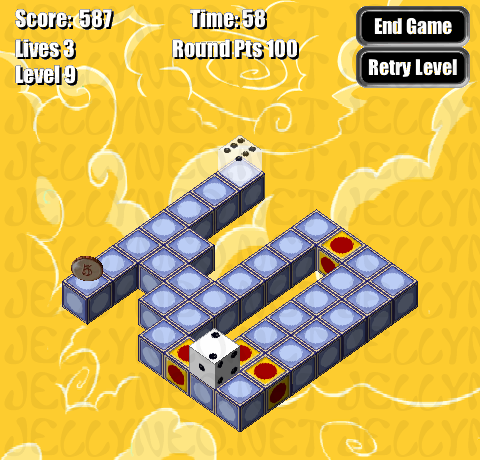 Following these instructions exactly will allow you to finish each level. In addition, every level has a coin that can be collected for extra points - our level instructions include the retrieval of this coin for most levels. In some levels it is more profitable to avoid the coin than to retrieve it. It is important to note that you only have 3 lives. 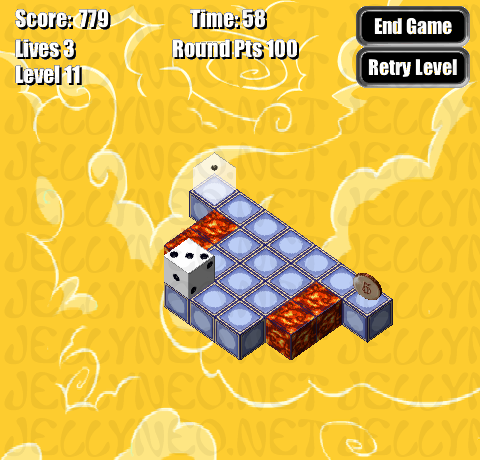 You can lose a life in several ways: running out of time on a level, falling off the board, or rolling your die into lava. If you lose all of your lives, it's game over. 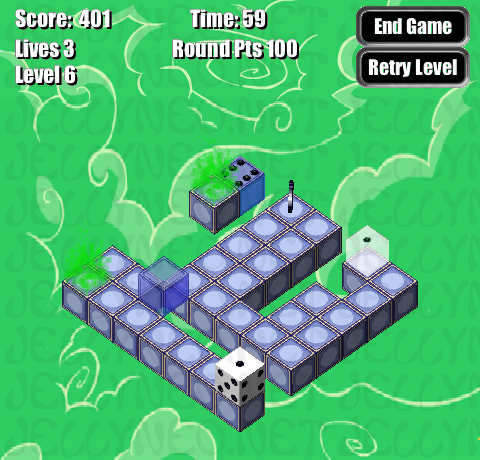 You begin each level with bank of 100 points, and a time limit of 60 seconds. Your points for completing a level are determined by the time you spent on the level and the number of moves you took. The longer you spend, and the more moves you take, the fewer points you will receive. Specifically, you lose 4 points for every move you make. 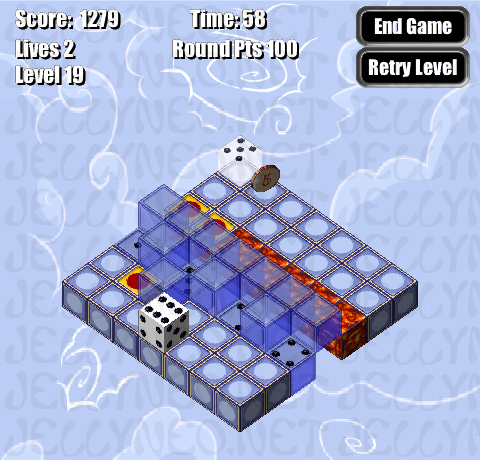 For example, our solution for level 1 involves making 5 moves, meaning that you would end up with a level score of 80. 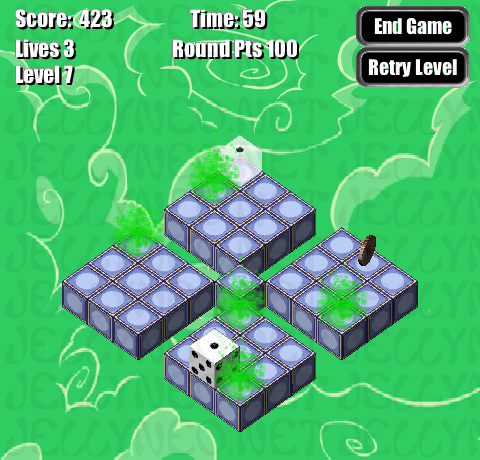 In addition to the base level score, you will also receive a time bonus. 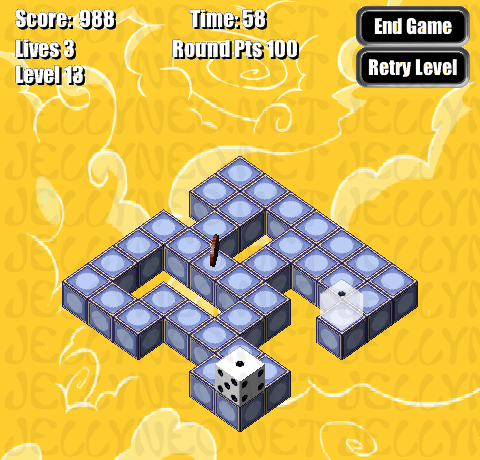 This bonus starts out at 19 points, with one point lost every 3 seconds. 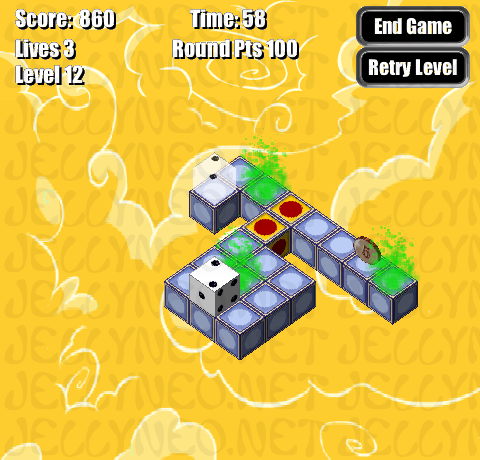 This means that if you complete your level in 5 seconds, you would receive a time bonus of 18 points. 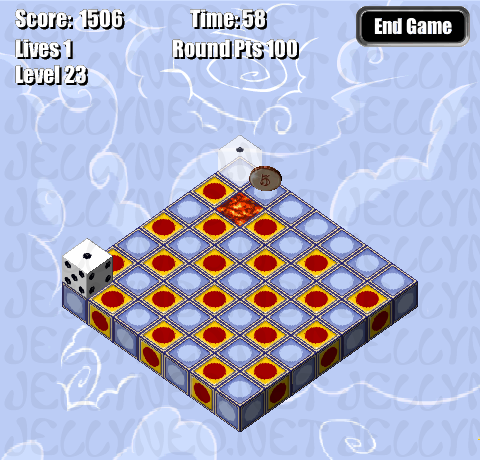 In addition, as mentioned earlier, you can receive bonus points by collecting the coin in each level. 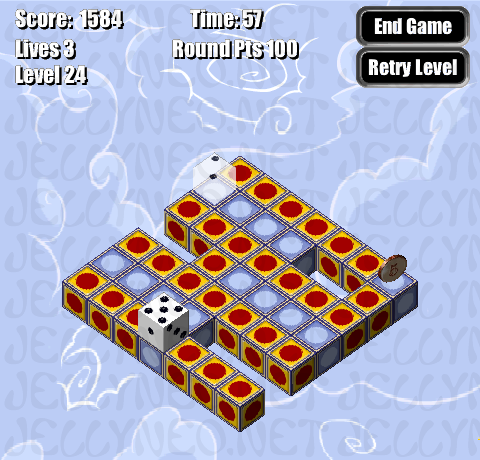 The value of the coins is random, and can either be 5, 10, or 25 points. Because the point requirement for the avatar is only 1,000 points, you do not need to complete the game in order to achieve an avatar-worthy score. 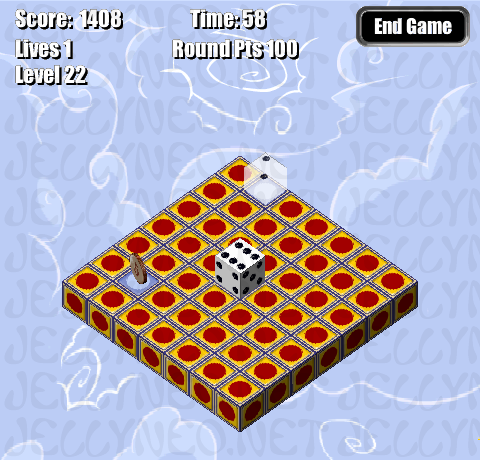 The following codes are cheats that can be used while playing Dice Escape. 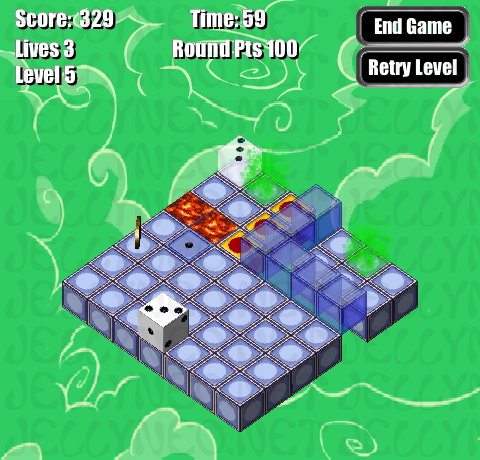 These maps are designed to take you through the game's levels as efficiently as possible. 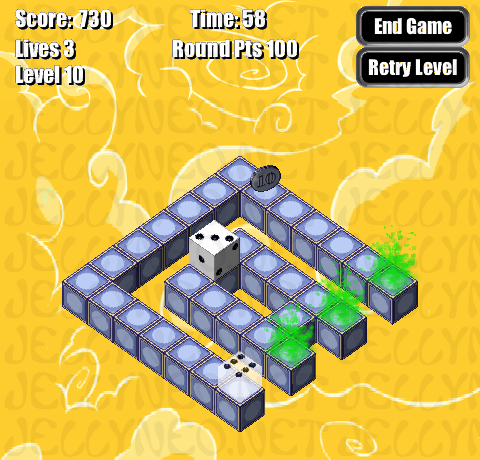 The solutions may or may not allow you to pick up the coin in each level - we designed them this way because in some instances, you will earn more points if you avoid the coin. 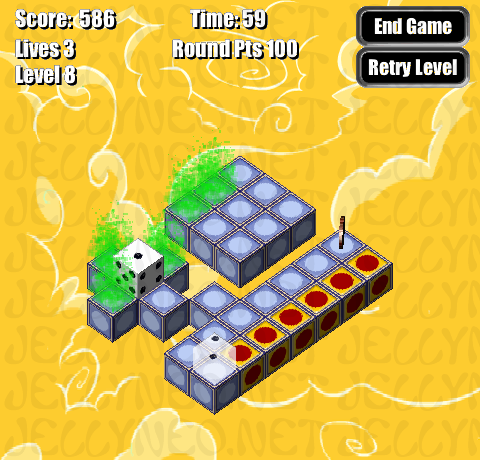 To use these solutions, click on the yellow arrows to view the next or previous level, or select a level from the drop-down menu.